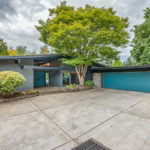 Excluded from the RMLS, this swanky 60’s mid-century modern charmer was sold by word of mouth (literally, as the seller’s sister Betsy was at a nearby favorite restaurant she overheard the owners talking about buying a mid-century home and told them about this home and voila, it’s KISMET!!). Yes, we realize that YOU ALL wanted a stab at it and you definitely wanted to tour it! But this situation worked really well for the sellers. Sure, I would have loved to have marketed this marvel to the world, but you don’t mess with kismet! 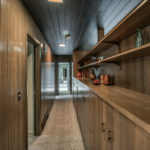 It is now sold, however, the sellers have given me the okay to post a few pics and a bit about the provenance to feed your mid-century addiction! Also, please note that if you like any of the art you see hanging in the home, it is by Betsy Jones. Contact her at bjonesmcm@gmail.com. 5 beds, 3 bath, 3333 Sq ft. 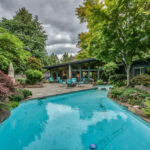 Custom designed by the original owner, Norma King with the help of Portland Architect William Wayman, known for his MCM (or at that time, Contemporary) designs strewn throughout the metro area. 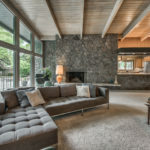 The house was purportedly (from Norma verbally to the current owners, though we’re trying to find documentation) built by Burton Goodrich who also built the Frank Lloyd Wright designed home now at the Oregon Gardens. 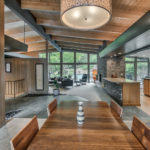 He was an understudy of and employee of FLW and an architect himself. The house has been in multiple Fred Meyer ads, and a long form Burton Snowboards clothing line ad.Here is the link to the Burton Snowboards ad. From Seller: “Blink and you miss the house which is the usually the case with these. 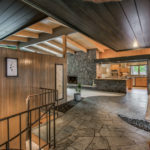 Our dogs made it into the commercial but we didn’t.”https://vimeo.com/49083316ARCHITECTURAL TOUR VENUE: 153rd has been an anchor point for the MCM League’s East Portland Mid-Century Modern tour that was held twice.The first year the tour ended at this home for a party. 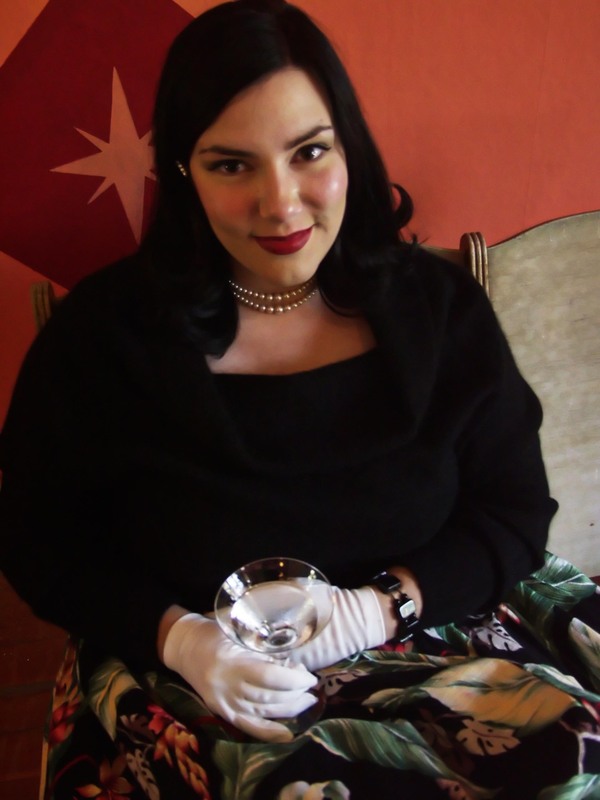 Attendees paid an extra fee for entry. 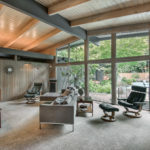 NEWSPAPER ARTICLES: The sellers and the home were included in the East Portland Architectural Survey and consequently written up in several articles about said survey and the architectural wonders of East Pdx. The home and the neighborhood are included on the survey though I’m not sure the writers did as deep due diligence as we have. The neighborhood is mostly made up of Hallberg Homes (a tract developer), but this one is custom. 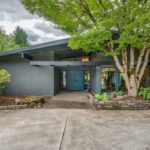 Also, down at the end of 153rd, closer to Glisan are four Emmons and Jones (Eichler’s Architects) designed MCM’s, which add weight to the neighborhood’s prestige to mid-century enthusiasts. 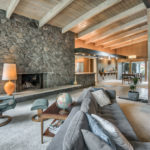 Specializing in Mid-Century and Period-Perfect properties.